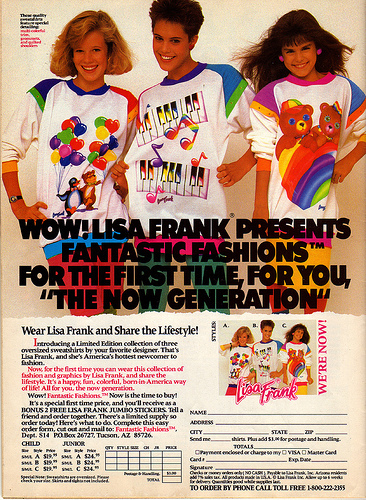 Man, I lived for some Lisa Frank back in the day…actually, I still kinda live for it…Ebay, here I come! 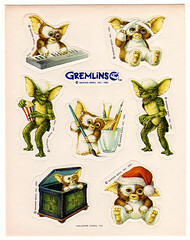 and these Gremlin’s stickers that seem very familiar to me…I think I had them. Actually as a kid (I was 6), I was so scared to watch “Gremlin’s” in the theatre that I went over to the next theatre to watch “Red Dawn” with my dad (the most violent film of the time according to the Guiness book of World Records). 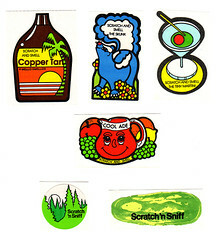 And who could forget the classic Scratch-n-sniff? 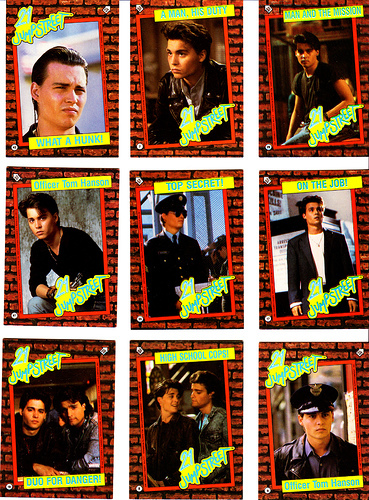 Oh, and here’s some eye candy…Johnny Depp 21 Jumpstreet Trading cards. OK, enough nostalgia for now. Hope you enjoyed! We borrowed Greg’s parents Suburban for our long weekend trip, and it has satellite radio. So we listened to a ’90s music station much of the time … New Kids on the Block, Boyz II Men, Madonna, DJ Jazzy Jeff and the Fresh Prince, Cranberries … talk about memory lane!